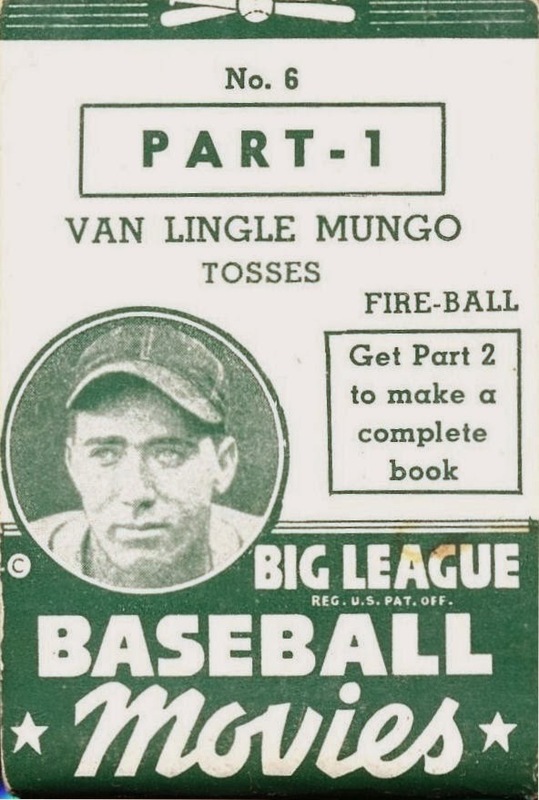 One of the things I noticed early on when diving deep into the Topps canon was that they borrowed (or perhaps were inspired by) many issues from the 1930's. 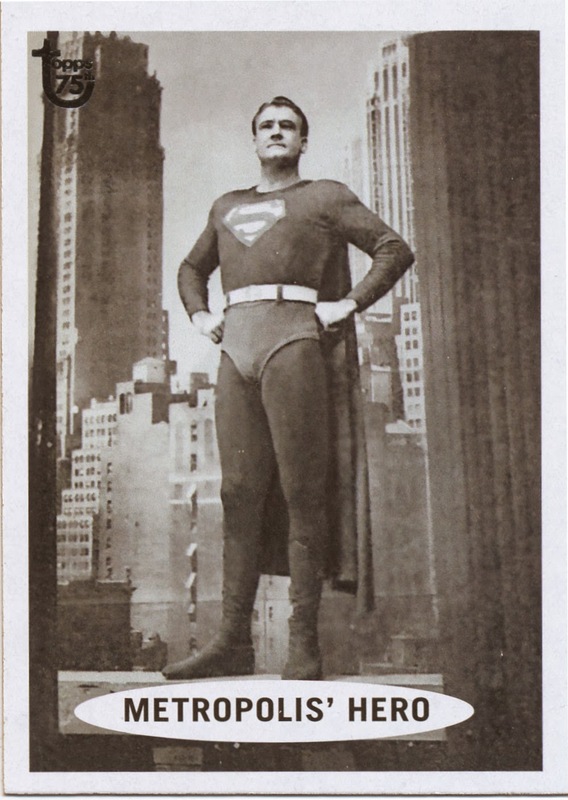 One such instance even stretches back to the early 1920's. 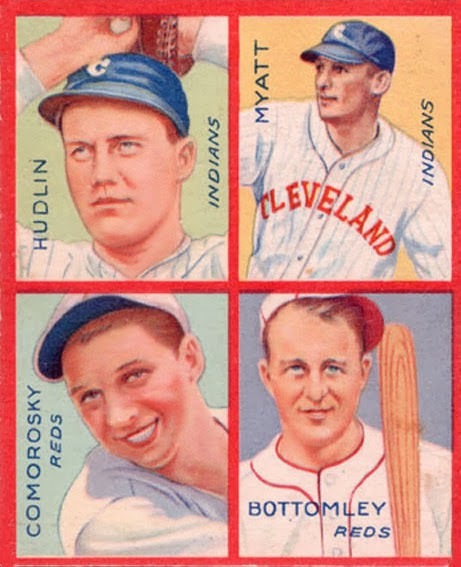 I'm not sure if it had to do with Woody Gelman's all seeing eye (he would have been too old to be a kid collector in the 1930's), Sy Berger's childhood memories (he would have been the perfect age or maybe just past it) or maybe the four Shorin boys' own kids but somebody at Topps was clearly influenced by the gum sets of the Depression. I thought I would look at a few today. 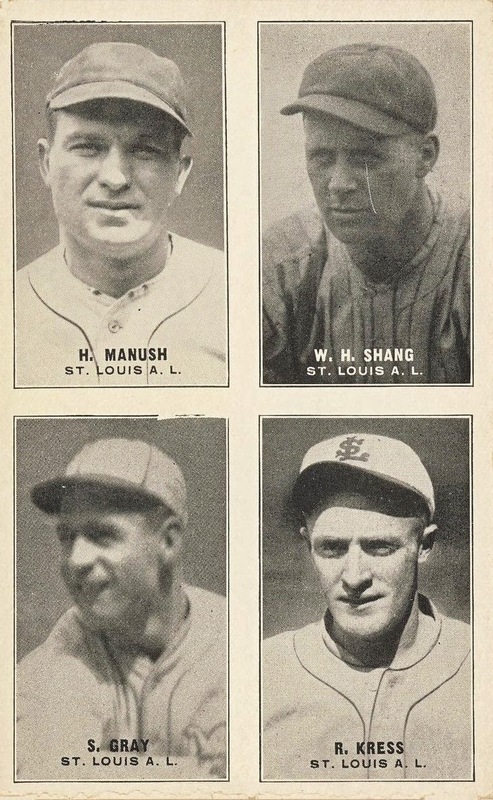 I am struggling to find the link or a scan but there was an obscure 1930's set Called Hokus Fokus, if I recall correctly, that operated under the same principle of wetting the blank surface, rubbing against a piece of paper with a developing chemical and then exposing to sunlight. There are other issues as well this can be done with. I'll dig out a few more and maybe some of my faithful readers have a few doppelgangers of their own to share. 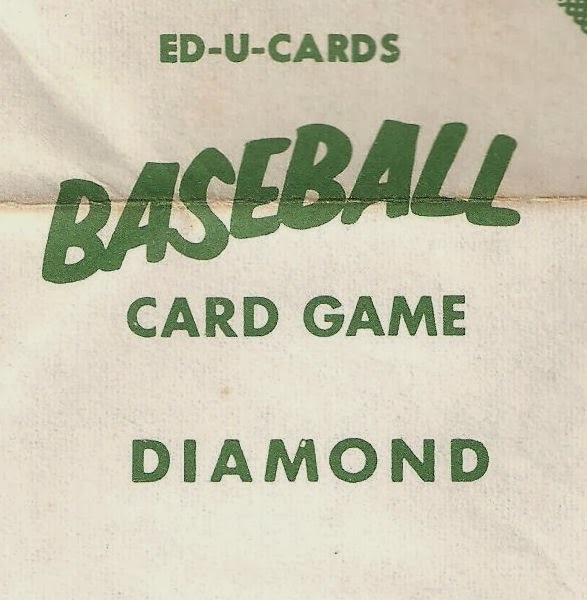 The order form, as you can calculate, offers Topps products at 60 cents on the retail dollar. This figure is more amazing when you realize the order form was for a wholesaler (or jobber in the parlance of the trade) who then would have to resell the purchased items to a retailer. 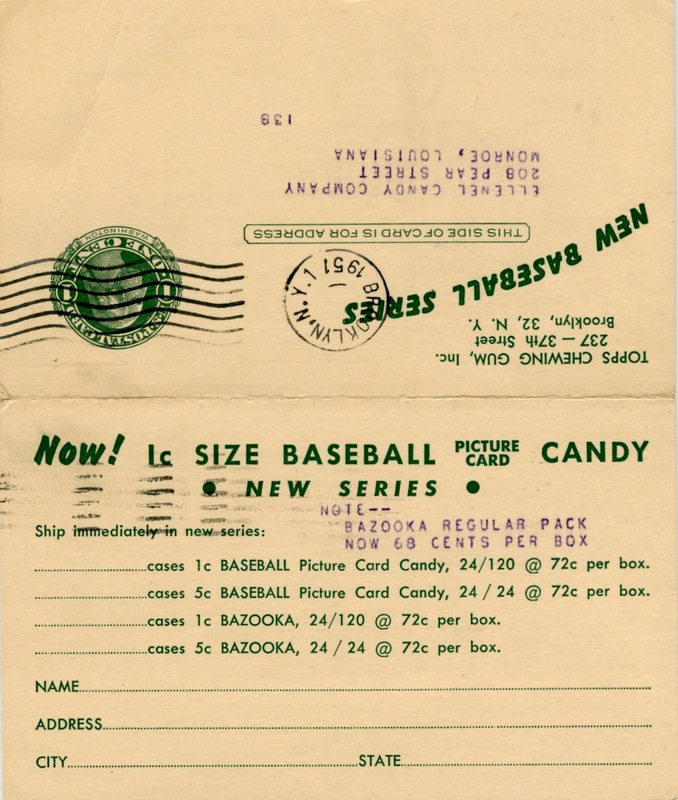 Actually, it looks like a slight sale on Bazooka was occurring, whereas Baseball Candy was full price. 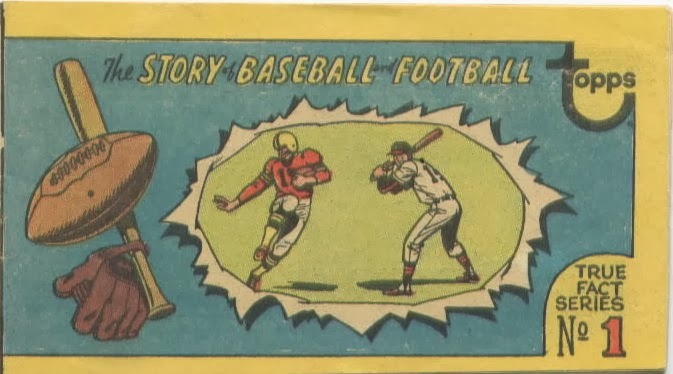 If you have been paying attention, then you know there were five subsets to Baseball Candy: Red Backs, Blue Backs, Team Cards, Connie Mack All Stars and Major League All Stars. Red and Blue Backs would have been in the one cent packs, a mix of panelized versions of those cards and the others would have been in the nickel packs. 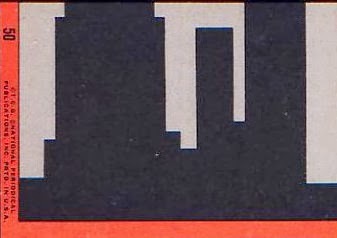 Custom Comics was a division of American Comics Group and was the only thing left when the parent company folded up all other operations in 1967. 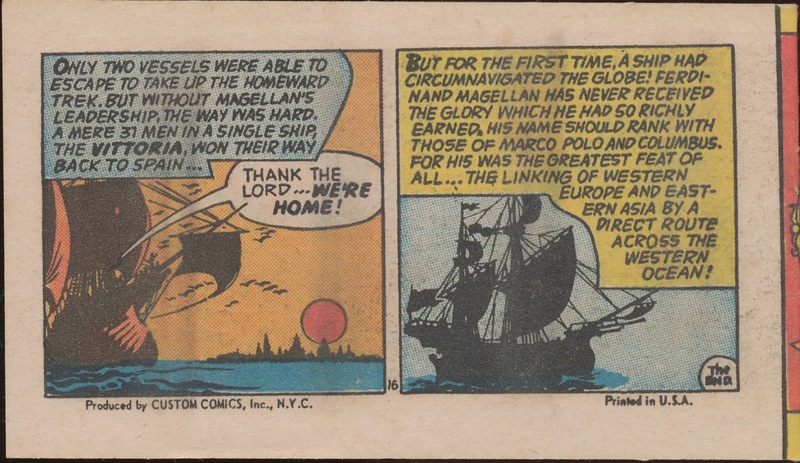 They had a familial, capital and distribution tie in with National Periodical Publications, better known today as DC Comics (although it's now part of Marvel--heresy to those of use born in the 1960's!). 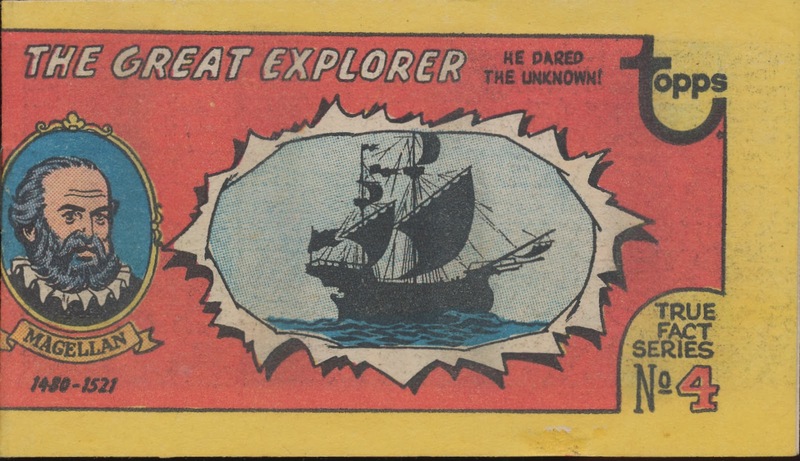 Custom Comics published bespoke comics from 1954 until 1977 according to the Grand Comics Database. 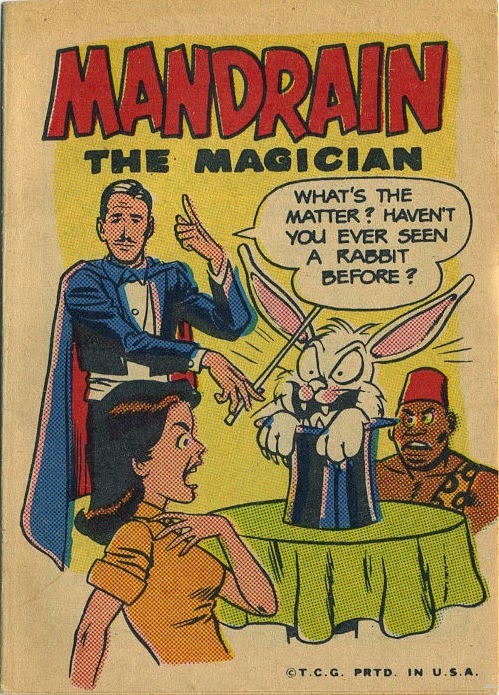 The database has 27 titles published by Custom Comics but does not list the True Fact series. 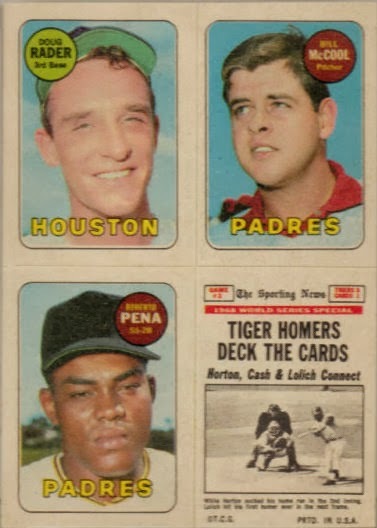 The piece above has to date from 1966-77 because, as all of my faithful readers know, the "curved-t" Topps logo debuted that year and lasted until 1980-81. 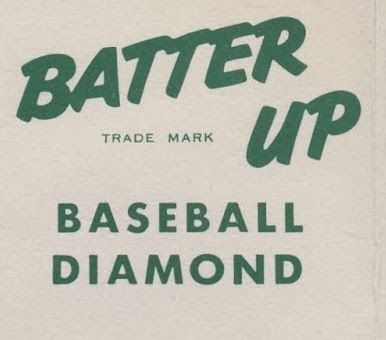 So the copyright belonged to Topps, which I find interesting. Clearly the format is the same for each number. 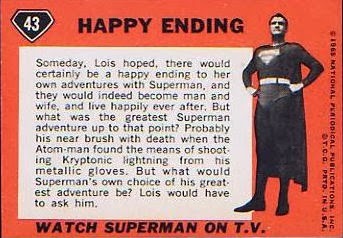 While the series may be complete at five, the year and method of issue remains an open question. Benjamin states it was confirmed they were a retailer item, but for what purpose is hard to fathom. 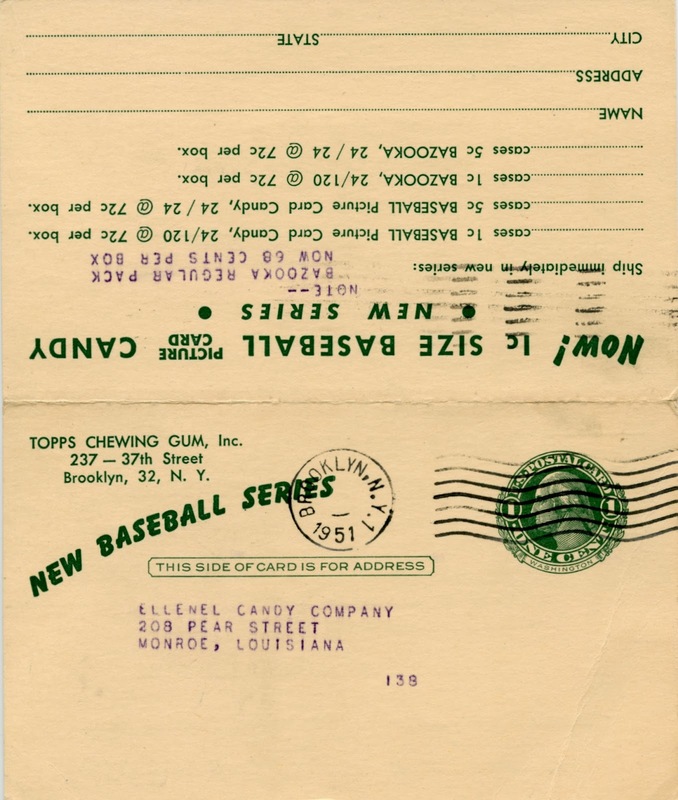 Most Topps retailer bonuses were certificates that could be accumulated and put toward consumer items. 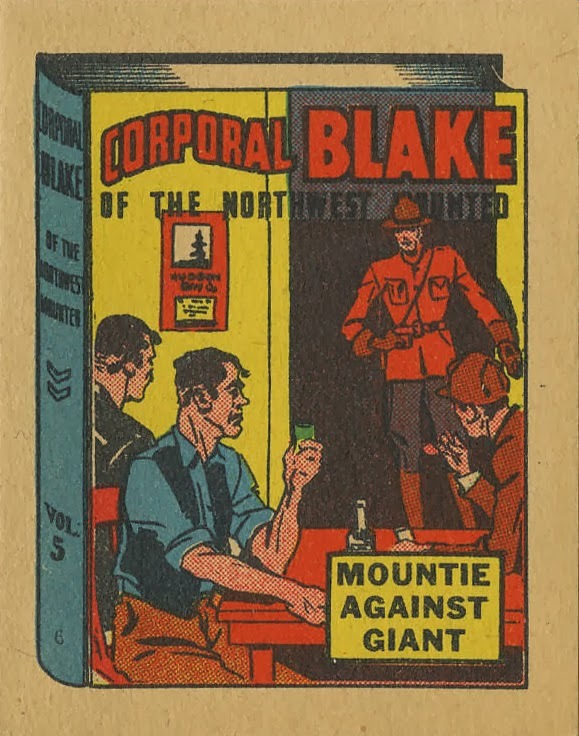 What retailer would want some undersized comic book? 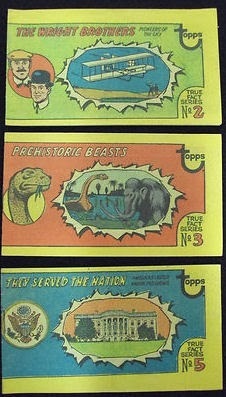 Benjamin also has the same five subjects listed. As for the year, I have a note somewhere it was 1974 but since I can't find the reference anymore, I can't say how correct that is. 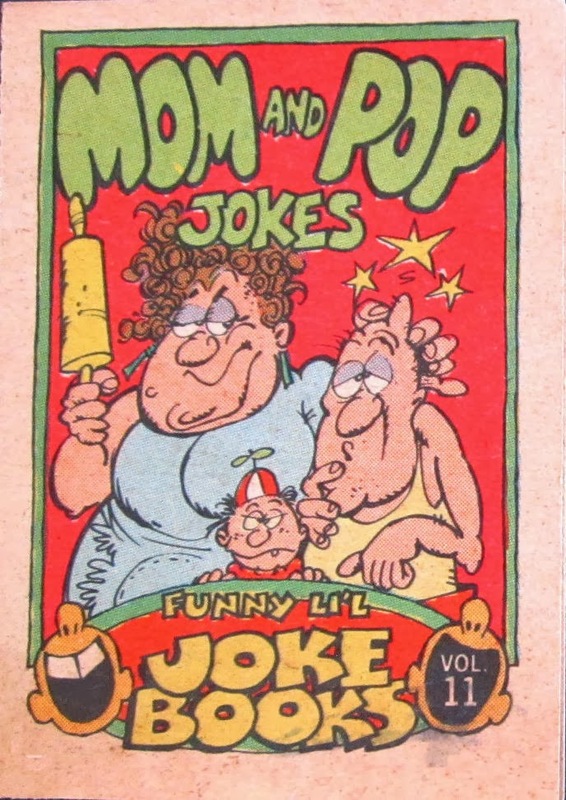 I also recall there being some commentary somewhere years ago that these were a reissue of an earlier edition. I'll put that in the hearsay category until further information is developed. 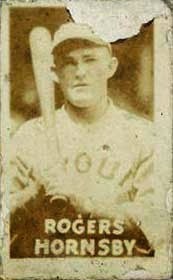 The 2013 Topps 75th Set was pretty nice but when it came to providing new information there wasn't much to write home about. 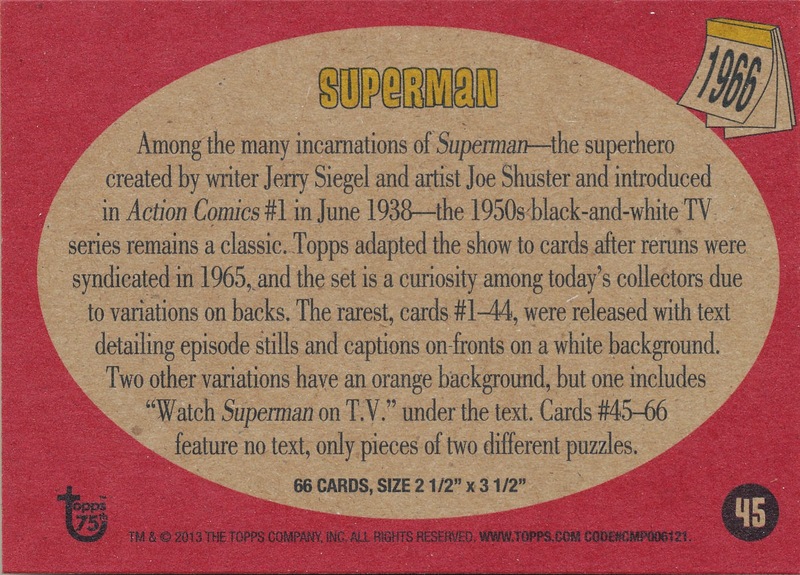 Actually, I'm pretty sure some of the details on the card backs describing each set came from my book and this blog but fair's fair-I've been using their material for years, Anyhoo-one set that did have some new info revealed was the 1965 Superman issue. 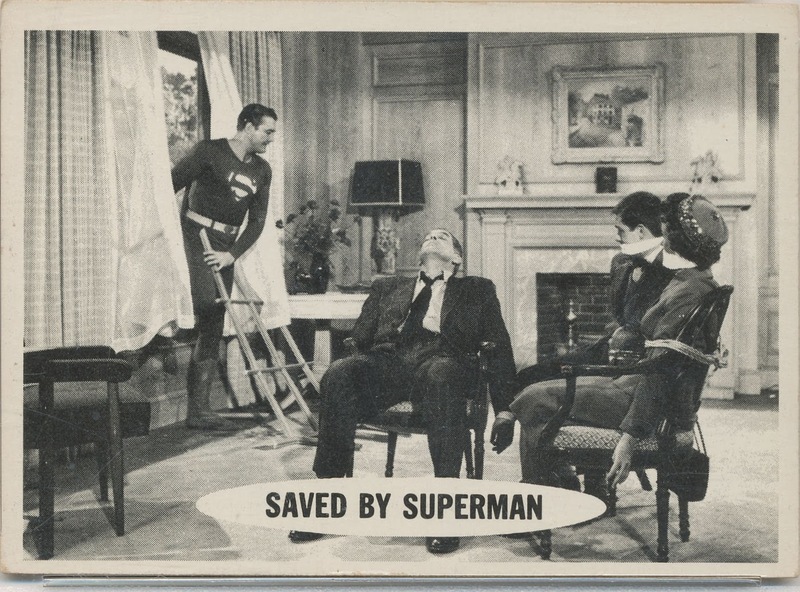 Topps has it as a 1966 issue, which is possible but the show was syndicated in 1965 and a generation of late boomers grew up watching the Man O' Steel after school each day. 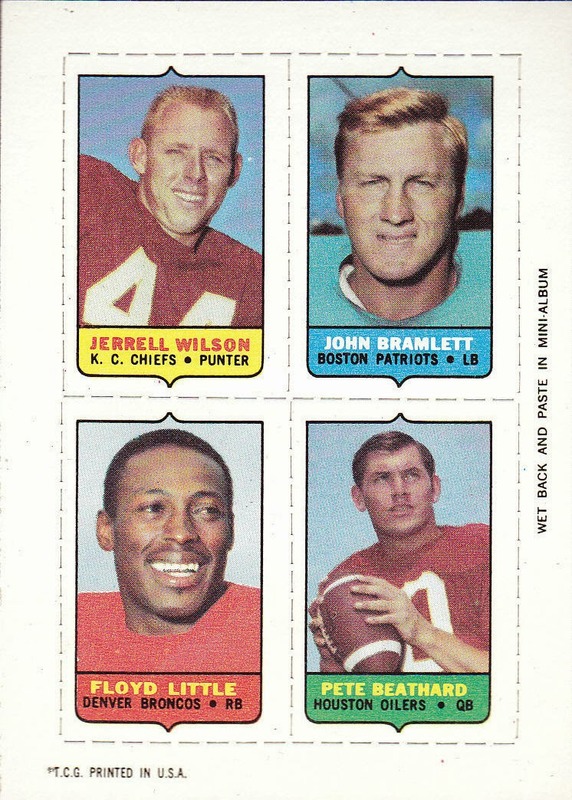 No matter, it's from 1965-66 either way but the big news was confirmation the white back version, which is one of the tougher Topps issues, has 44 subjects. The two orange backed varieties, which are common, both go to 66 but the last 22 cards make up a puzzle while the first 44 have text. 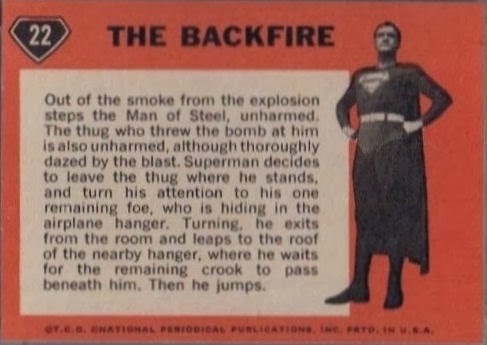 So the 44 card count for the white backs makes a lot of sense. I'm not sure every one of those numbers has been confirmed but that number seems good. 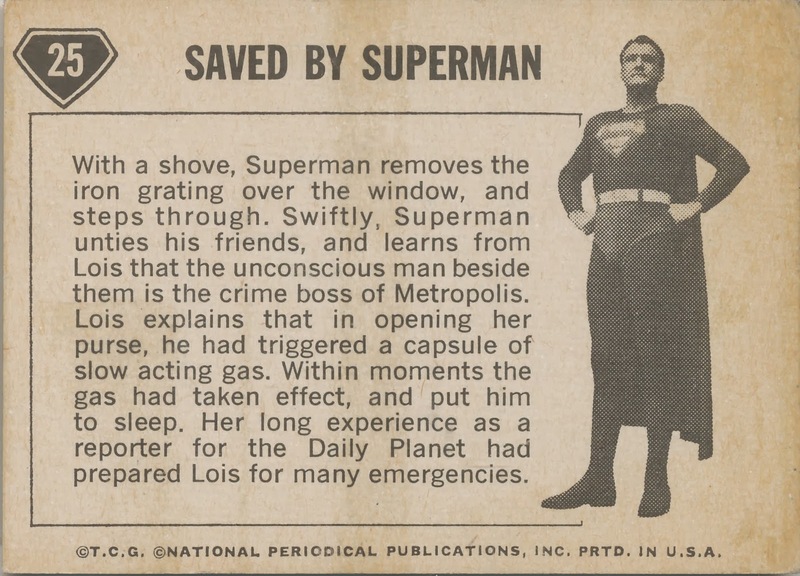 You will note the WATCH SUPERMAN ON T.V. tag line; we'll get back to that momentarily. 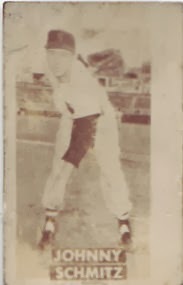 Here is one of the two puzzle backs but there's a catch-there are two types because one is a photo and one is a drawing. This one is from the latter puzzle. You can see both puzzle backs at the Net54 Gallery, totally worth the click. So obviously the orange backs that have the TV tagline came in the packs with the same wording on the wrapper. 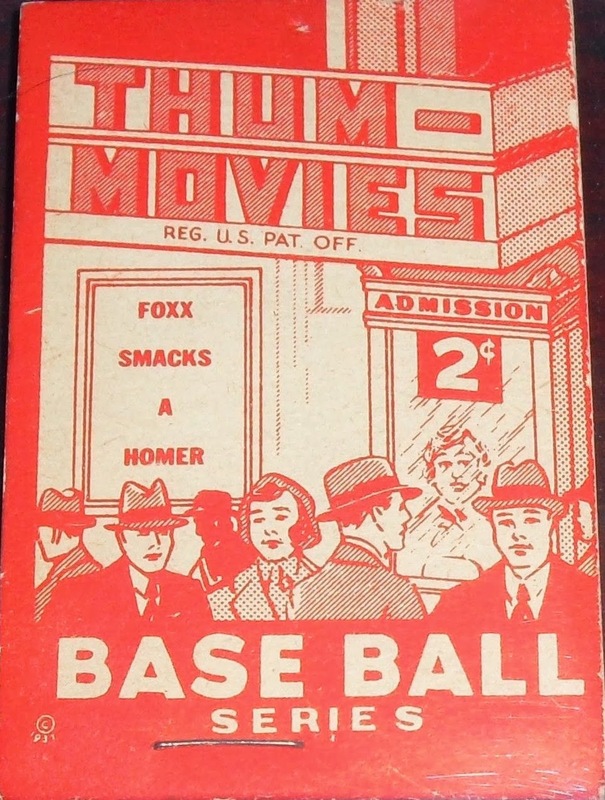 And if you look closely, the "TV" packs did not come with gum. 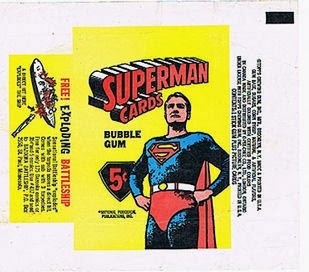 This makes me think the cards without the TV tagline were sold first by Topps, since they were in the gum business after all, then they either worked out some kind of deal or got dragged into a fight between the comics publisher (National Periodical Publications) and the TV production company. It's all a bit strange but it might explain why there are two types of puzzle as well. I have to check and see if the puzzle pieces are harder to find. If there are no white back puzzle pieces, then maybe it was a 44 card set to start out with. Great Caesar's Ghost! This is way more complicated than it has any right to be.